"A Zero-Turn Without The Cost"
If you like the factory swivel wheel mowers but not their cost, you'll really like our Eazy Mow swivel wheel accessory. Our product is affordable for anyone and provides time saving convenience and effortless maneuvering of any walk-behind mower. You'll be amazed how quickly and easily you can upgrade your walk-behind push or self-propelled mower from a standard wheel mower to your very own zero-turn, swivel wheel mower. Our swivel wheel kit is the "only universal product" that can replace one pair of standard wheels and height adjusters on practically any walk-behind mower. And even better, our low factory direct price of $69.90 also saves hundreds of dollars compared to any factory swivel wheel mower. Our customers say, Eazy Mow offers great quality and is one of the best products they have purchased. Owners of walk-behind mowers can enjoy the benefits of high end equipment at a fraction of the cost. Craftsman, AYP, Toro, Honda except HRX models, Ariens, Troy-Bilt, Murray and K-Pro. MTD products such as Yard Man, Yard Machine, Cub Cadet, Bolens and White. Also Southland, Mow Master, Lawnflight, Husqvarna, Huskee, John Deere, Stanley, Scotts, Poulan, Poulan Pro, Power Pro, Weedeater, Lawn King, Brute and many overseas models. 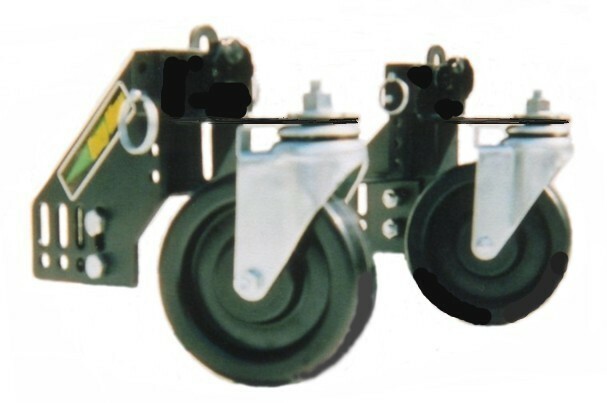 Industry News 2008 - Recent surveys show consumers and owners of lawn care companies have found the eazy mow swivel wheel kit to be an affordable, quality product that can be added to their power mowers to provide time saving convenience and ease of maneuverability. 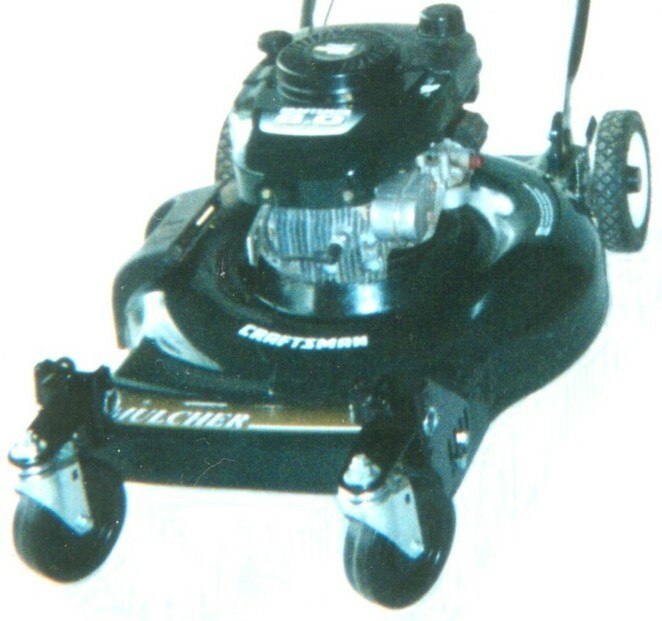 Consumer Product Ratings: The Eazy Mow swivel wheel kit has a five star rating with numerous web stores. Customer feedback is excellent in regard to quality and the service this product provides. MOWING HAS NEVER BEEN THIS EASY! For most, mowing the lawn is a dreaded chore and definitely not something looked forward to. In fact, most just want to get the job done as quickly as possible. So, why is our product quickly gaining popularity with consumers? Our customers say it best: "We can't imagine anyone not needing this product if they own a walk-behind mower." "No other product provides this type of maneuvering capability, not even the factory equipped models." " With Eazy Mow we practically glide around our lawn which saves a lot of time and effort." "We saved hundreds of dollars over purchasing a factory swivel wheel model." " Eazy Mow is a quality product that actually helped us to accomplish more in less time, with less effort than we anticipated." 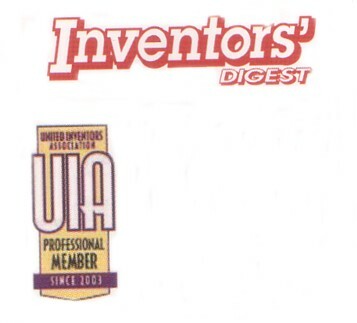 Our product surpasses test of OEM requirements and will provide you years of lasting service. Eazy Mow is a great new addition to the lawn care industry and is the only zero-turn, swivel wheel, mower accessory designed for push and self-propelled mowers. 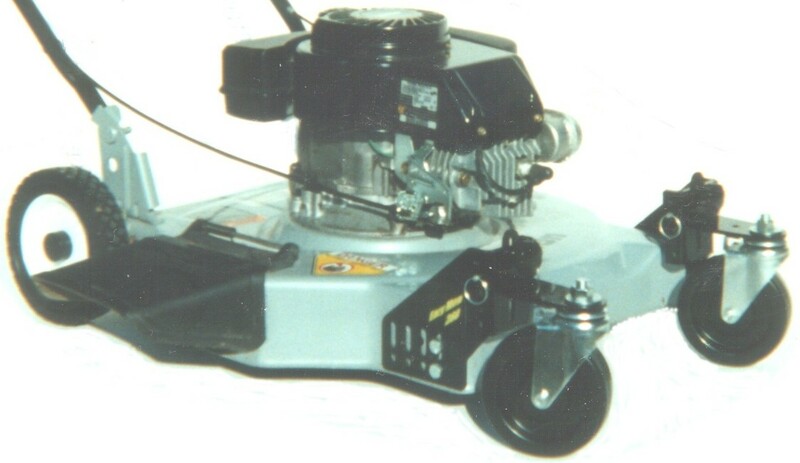 With Eazy Mow you are not limited in use to a certain brand, model or price of mower. Now, you can reverse turn, spin around trees, garden beds or any obstacle with little or no effort. Our newly patented product is affordable for anyone and provides the best performance and safety features available on the market today. Try Our Product - Risk Free!